What has my husband done, that he had to flee to England? You must be patient, madam. He wasn’t patient! It was crazy for him to run away. Even when you’ve done nothing wrong, acting like you're afraid makes you look like a traitor. You don’t know if he ran away out of wise caution or fear. Wisdom! How could it be wisdom to leave his wife, his children, his home, and his noble titles somewhere he himself is afraid to stay? He must not love us. He lacks some natural instinct. Even the poor little wren, the smallest bird, will fight an owl to save her babies in the nest. His actions betrayed all fear and no love. And if there was no real reason to flee, it can’t be wisdom to have done it! My dearest kinswoman, please control yourself. As for your husband, he is noble, wise, judicious, and knows what’s best in these dangerous times. I don’t dare say more. These are evil times when we’re labeled traitors and don’t even know why, and when we are frightened by rumors, though we’re not sure what it is that we fear. It’s as if we were at sea in a storm, getting tossed this way and that. I should leave. I’ll be back soon. When things are at their worst, they must either get better, or come to an end. [to Son] Bless you, my little cousin! He has a father, and yet he's fatherless. "float upon a wild and violent sea"
This metaphor describes being caught up in these dangerous political times as similar to being tossed this way and that on a stormy sea. Each way and move. I take my leave of you. I’m such a mess. If I stay longer, I will get emotional, to my embarrassment and your discomfort. I’ll leave at once. Sweetie, your father's dead. What will you do now? How will you live? Just like the birds do, mother. How, by eating worms and flies? I’ll take what I can get, I mean. That’s what they do. You poor little bird! You wouldn’t recognize the traps they set for birds. Why should I, mother? They don’t set nets for such pitiful birds as me. And my father’s not dead, no matter how much you say he is. Yes, he’s dead. What will you do without a father? What will you do without a husband? Oh, I can buy twenty husbands in any market. The pitfall, nor the gin. Why should I, mother — poor birds they are not set for. Lady Macbeth affectionately calls her son a “poor bird”—one who is too naive to fear the dangers in life. He jokingly responds that he has nothing to fear since they don’t set traps for poor scrawny birds—just rich fat ones. Yes, he is dead. How wilt thou do for a father? 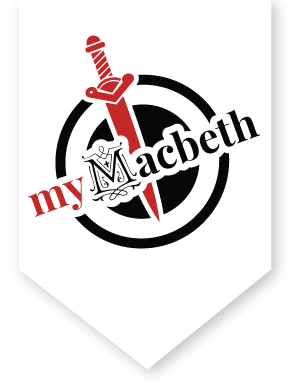 "buy 'em to sell again"
Lady Macduff says that she will not have a problem finding a new husband, she “can buy twenty at any market.” Her son makes a clever wordplay when he replies that she will then resell them. In Shakespeare’s day, to buy and sell meant that you were deceived (as in, you’ve bought something you shouldn’t have bought in the first place, and now have to sell it). So, he’s cleverly saying that she has been deceived into believing her husband is dead. Remarking this, Lady Macbeth makes a pun herself: though her son speaks with the intelligence (or wit) of a young boy, he is, in fact, quite “witty” for his age. You’d just have to sell them again because you’ve already got one. Why, you speak with all the wits you’ve got - but actually, what you say is smart enough. Someone who swears and lies. Do all traitors do that? Every one who does is a traitor, and must be killed. So everyone who swears and lies must die? Then the liars and swearers are fools, for there are enough liars and swearers in the world to beat up the honest men and kill them. God help you, silly monkey! But what will you do without a father? Now, God help thee, poor monkey. If he were really dead, you’d cry for him. If you don’t cry, that’s a good sign that I must be getting a new father soon. You chatterbox, the way you talk! Bless you, fair lady! You don’t know me, but I know your noble rank well. I’m afraid that some danger is very near. If you’ll take an ordinary man’s advice, get out of here. Leave quickly with your children. I must be awful to frighten you so savagely, but it would be cruel to let anything terrible happen to you, and something terrible is very close! May God keep you safe! I don’t dare stay a moment longer. Poor prattler, how thou talk'st. Which is too nigh your person. Heaven preserve you. Where should I run to? I’ve done nothing wrong. But I have to remember that I’m here on earth, where doing harm often gets praised, and doing good is often considered a foolish and dangerous thing. So why then do I use that womanly defense, “I’ve done no harm” ? I hope he’s nowhere so wicked that someone like you can get to him. Thou liest, thou shag-eared villain. In medieval England, criminals sometimes had their noses and ears slit or completely cut off. Their mutilated ears would indicate that they’ve been convicted of serious crimes. It’s also possible that Shakespeare meant shaggy-haired, which was a slang term for a villain. Or indeed he may have intended for the audience to think of both these terms. You lie, you shaggy-haired villain! You son of a traitor! He’s killed me mom. Run away, please! Run away, I pray you.